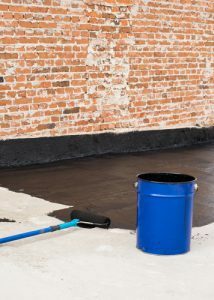 Basically damp proofing is a common term that covers different methods and treatments used to treat dampness in a property. It is a type of moisture control that is applied to the floors and walls of a property to prevent moisture from passing through. It is a way for long term prevention of damage caused due to moisture. The goal of this technique is to retard infiltration of moisture. Thus, it ensures moisture remains outside and keeps the walls dry. This technique is done on both residential and commercial properties. If you are concerned about this problem in your property, it is recommended to contact a specialist. You can easily find a damp proofing specialist in your area. They will inspect your property for signs of seepage and the extent of damage done. Accordingly, they will suggest ways to damp-proof the home and prevent further damages. This treatment is used to prevent moisture from entering the property. It is a preventive method that is used to prevent moisture related problems from developing. Experts look for areas prone to damp and then suggest solutions according to the property structure. This method uses a chemical solution to act as a barrier. Even this is a method used to prevent damp from entering a property. It makes use of membrane sheets to act as a barrier between moisture and wall. The sheets are made from materials like butyl rubber or polyethylene. It is usually placed below the concrete floor or other base of the property. Chances of damp related problems are higher in older homes. Don’t let your property fall victim to dampness and bigger moisture related problems. Get in touch with a professional expert now. Remember a healthy home is a happy home!